Success happens when preparation meets opportunity. Because of our high level of preparation at a time when great opportunity presented itself, we have become an extremely successful company. In order to continue our phenomenal growth, we are in a position to offer great opportunity to those who are also highly prepared and ready to take action. Whether you're another contractor looking to partner on a project or a skilled craftsman looking for employment, Purgatiore Valley can offer it all. After all, here at Purgatoire Valley, we are all part of the family. With a well-honed business sense following a carefully crafted business plan supported by many, many years of experience, we are Purgatoire Valley Construction, Inc. and PVC Services, proud family owned businesses. We excel at what we do, and we do a lot. Because of our many years of expertise and our ability to take on any challenge and get the job done right the first time, Purgatoire Valley Construction, Inc., has become one of the largest employers in southern Colorado. Even with the recent economic downturn, Purgatoire Valley is poised on becoming one of the larger construction companies in the Rocky Mountain Region with new possibilities opening up in other areas of Colorado, and in New Mexico, Utah, Wyoming, North Dakota and Montana. 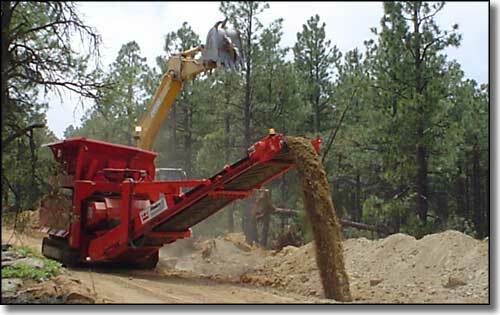 We have crews that specialize in utility construction and road building. 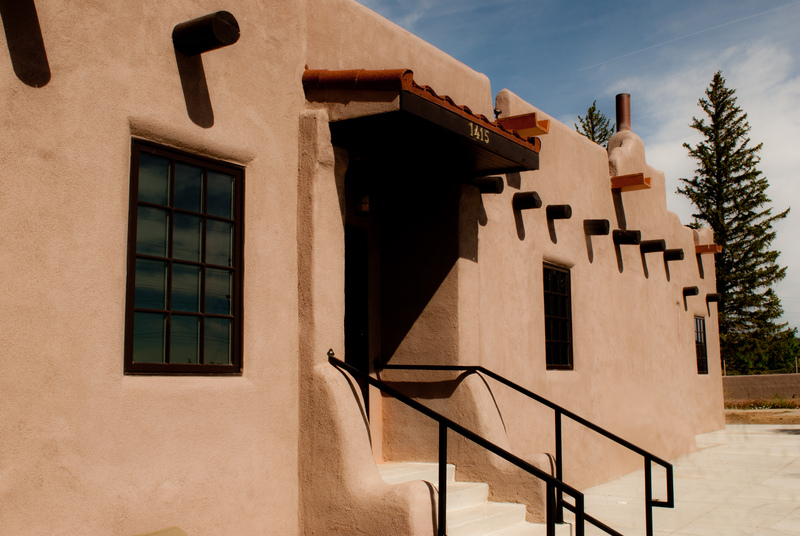 One of the projects we completed involves the rebuilding of several blocks of brick street in the Corazon de Trinidad, the National Historic District that makes up the Heart of Trinidad, Colorado. This project included repairing and/or replacing water and sewer mains, moving all above-ground utilities sub-surface, rebuilding storm drains, concrete-slabbing the roadbed, and resurfacing the street with brick, just as it was in the early 1900's (but without all the horse manure). Another project we recently completed for the City of Trinidad was the Elm Street Improvement Project. This project created a brand new extension of Elm Street, connecting Chestnut Street to Linden Avenue. We are well established in the oil and gas field boom that is taking place in the Rocky Mountain Region. Even with the recent economic downturn, Purgatoire Valley has continued to help maintain the natural gas wells for the numerous oil and gas companies in the area. 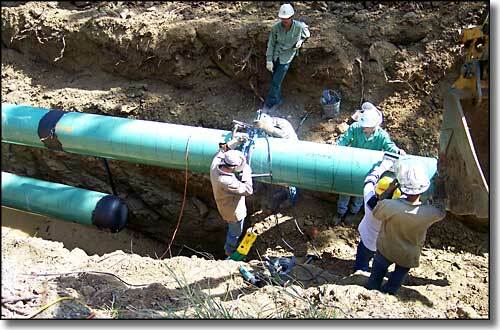 We also have many years of experience in the field of pipeline construction. We have done and continue to do work for the natural gas operators and transporters like Pioneer Natural Resources, XTO Energy and Colorado Interstate Gas. 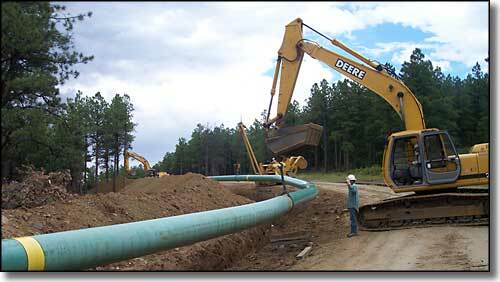 Currently the gas companies are strictly in maintenance mode, so no new construction is happening. This has enabled us to diversify and expand our capibilities into the service side of the gas and oil field. Our concrete crews are top notch. We cut our teeth doing residential projects, then move on to larger commercial foundations and heavy industrial work. Some of our commercial projects include Army Corps of Engineers projects on Fort Carson and Pinon Canyon, along with numerous municipalities throughout Colorado and New Mexico. We also have crews that specialize in commercial and industrial steel building construction, along with wood framed or other types of buildings. With well-trained, safety orientated, highly motivated people, we have found that no project is outside our limits. We also have many opportunities available in our Building Division. Our building crews have been busy at the New Elk Coal Mine in Western Las Animas County. Past projects at the mine include new locker rooms and restrooms, new offices and many other remodel projects. 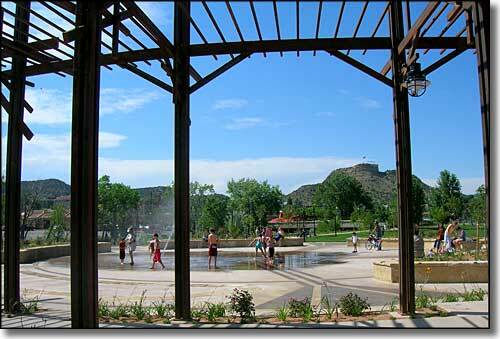 We currently have other building crews in Colorado Springs, La Junta and Walsenburg. 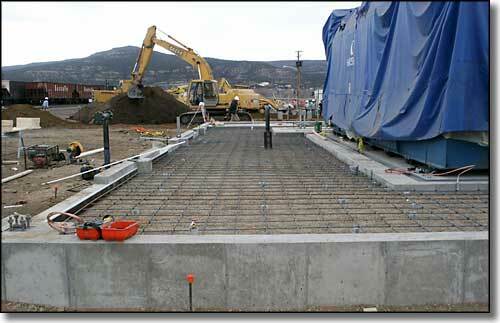 And soon to be Raton, New Mexico for a New Mexico DOT Salt Storage Facility. As a result of proving our motivation, experience and capability, other general contractors contact us to negotiate projects without contacting anyone else. As we said before, with well-trained, safety orientated, highly motivated people, the sky is no limit for us. We are a family owned and operated company, headquartered in the Victorian Jewel that is Trinidad, in Las Animas County, Colorado. This county is the size of the State of Connecticut but has only 15,000 residents (and more than 25,000 Rocky Mountain elk). We live in a pristine mountain and forest wonderland, and we work hard to keep it that way. Being as involved as we are in the natural gas development that is going on here allows us to set a very high bar in terms of preventing and mitigating possible damage to the environment. This is why we keep saying "motivated, well-trained and prepared." Our expertise and capability in this is also why we are invited into other natural resource developments in the Rocky Mountain Region. It's a good time to get in on an extremely good thing. And the opportunities for advancement are great. We offer very competitive pay and excellent benefits to those who are motivated and ready to make this journey with us. National and international attention and recognition may soon be coming Trinidad's way. The city may soon be known as the place to get hands-on education for work in the oil and gas fields. Trinidad State Junior College on Oct. 19  hosted API University President Lane Rubrecht along with gas companies and local contractors to discuss the possibility of locating a school at the TSJC campus. According to Rubrecht, APIUniversity is the online education for training in the oil industry. The training entity is sponsored by American Petroleum Institute. While one of the API representatives, Jim Cozart, was online, he came across the TSJC Energy Production and Industrial Construction (EPIC) program. Cozart placed a call to the TSJC Assistant Dean for Industrial & Technical Education, Joe Ribaudo. Cozart asked Ribaudo if he wanted to take any classes from API, he said he wasn't interested and asked what API was about and how those courses could improve their program. Ribaudo asked, "Where is your training facility located." Cozart replied, "We don't have one at this time." They started comparing courses and curriculum and how they matched up almost exactly. Cozart said he should talk to the president and other API officials and get back to Ribaudo. Ribaudo and TSJC Dean Tom Scarlett began several conference calls with officials from API University, which led to Thursday's meeting. TSJC invited API representatives down for an advisory meeting to visit with them and area gas and construction companies. They are exploring the possibility of collaborating and partnering in delivering APIUniversity courses and to provide hands-on training for the courses they require. "TSJC wants to provide the facility for them to train here and utilize the space and courses they have in place," according to Ribaudo. "We can make it a little more user friendly and closer proximity to where some of the workers live." He also added, "This is a sleeping giant that we need to provide training and a work force for, and it will support the community." According to Ribaudo, "These workers are no longer called blue collar workers; they are called gold collar workers. They need to run a laptop and PDA to plug into a system. They have to be skilled and knowledgeable." According to Rubrecht, the students can come in through online training and pre-assessments. After training, they will have post-tests and a hands-on validation component where you physically perform tasks in front of an API-qualified instructor at an API-qualified center. They would get a smart card with a credential so any employer could log in and validate employment. The goal is to create a standardized, world-wide recognized program so students could go anywhere. "This is what API members are requesting," said Rubrecht. "We can't keep them in the classroom forever, retirement is about to become an issue and we need a new group coming in. In this environment, there are a lot of dangers and liabilities and you need to know what they can do, as far as job components and safety." Rubrecht added, "We are going to try to set up five physical campuses and we are hoping this will be one of them. We are here today to get feedback from the members to see if they see value in this program and if they would support it. Obviously we will put one down in the Houston area; in pockets where these type of companies are and we will have some international ones." According to Sandra Veltri, dean of Student Services at TSJC, "API is the standard for the industry. Just as Red Cross is the standard for CPR and Navtech is for the automotive industry." When asked by the Times "How long is the program?" Veltri replied, "If you have no experience, you would enter the EPIC program. You have a choice between the certificate program which is nine months or the Associate of Applied Science, which is two years. At that point, the oil and gas companies would hire them and the company would pay for any further training, and there are many layers. Starting salaries for a student with an EPIC certificate are $15 to $25 an hour." "Colorado Interstate Gas Company, who was in attendance, would prefer a graduate with an associate degree," said Scarlett. "Management needs those skills. Communication skills are important so that as they work their way up, they will need those skills. Technical requirements have changed and they need workers to be productive right away. The other core classes will strengthen the prospect." According to Veltri, high school students will have the possibility to enroll concurrently when they begin their junior year and their earned credits will be transferrable to other universities. TSJC has 50 students currently enrolled in the EPIC program. She also believes some international students may come to TSJC. She said, "It's not just training for a job but preparing for opportunity." Some $490,000 has already been raised from the gas companies and some of their contractors providing equipment, in-kind donations, teaching materials and software. He said, "The next step is that companies need to meet to figure what's available through API, then develop some of the courses they would need to have in their training program that they don't currently have assembled. It should take place relatively soon. It will be more negotiation of how to assemble the puzzle and make them fit." According to Veltri, "We wanted this to become a regional training center but it may become an international training center." Ribaudo said, "There is none like it in the United States or the world right now and if it happens, there is a good likelihood we would be the very first one." What we helped begin is already growing larger and offering more than we ever dreamed... And, as you can see, we are highly invested in our community and are very proud of it. 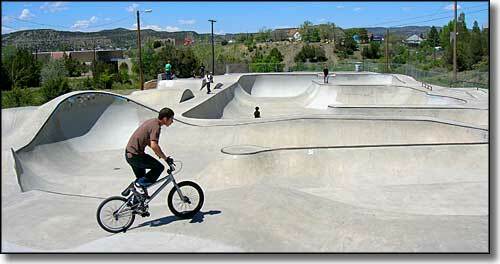 Our commitment to Trinidad, Las Animas County and Colorado shows in our people, too. We take good care of them and they take good care of us (isn't that the way it's supposed to be?) We have quite a few motivated, highly experienced people working with us already. We're looking for more and our future is bright, very bright. Are you interested? If you are, you can step up to the plate right here and get started almost as soon as you walk into our office on Pine Street in Trinidad.